Quality audio is one of the key components of any high quality content on the Internet. May it be a YouTube Video, Gaming Commentary, Podcast or Vocals for a Song, you will need a high quality microphone to provide better content to your audience. In this post I will be giving you a list of condenser microphones under three categories - Under $50 - Under $100 and Under $200. This will pretty much cover all budget range that one might spend on a microphone. Keep in mind that the microphones which I am going to suggest are used by professional YouTubers on YouTube. These mics will give you some serious HQ and HD audio for your work. So, lets get started. Cardioid mode: This mode is great for vocals, voice overs, podcasts and commentaries. Cardioid mode with -10 dB PAD: This is the same as the Cardioid mode but with the sensitivity decreased to -10 dB so as to capture louder sounds without distortion. Omnidirectional mode: This mode allows you to capture sound equally from all direction around the microphone. This is great for interviews and stuff like that. 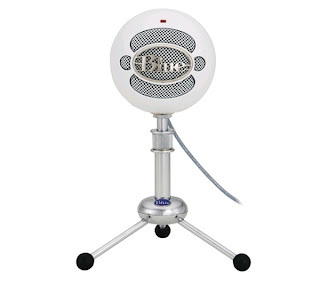 If you are in a low budget but don't want to compromise on the audio quality then Blue Snowball is the way to go. Listen to audio sample below! Increasing your budget to $100 will give you the Blue Yeti. 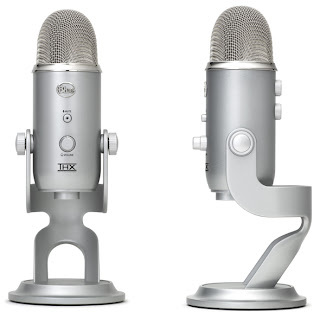 Blue Yeti is pretty famous microphone and the favorite microphone for YouTubers. This is because of its features and no extra setup. Just keep it on your table, plug it and you are good to go. This little beast holds 3 condenser capsules which shall provide you with optimum audio quality for the price. Unlike the Blue Snowball, the Blue Yeti comes with 4 settings. Stereo mode: The stereo mode uses both the left and right channels which will provide a realistic feel to your audience with stereo audio systems. Cardioid mode: As stated earlier, this mode is great for vocals, voice overs, podcasts and commentaries. Omnidirectional mode: This mode allows you to capture sound equally from all direction around the microphone. Bidirectional mode: This mode helps you capture audio both from front and behind the microphone. Listen to the audio sample below. The microphone which I am about to suggest is not exactly an USB microphone but it can be converted into a USB microphone by attaching a simple converter to it. The microphone which I am talking about is yet again from Blue, its the Blue Spark. Blue makes some awesome microphones and I am suggesting you microphones which are the best for the price you will be paying. Normal Mode: This mode is good for capturing audio in a wide area such as a conversation. Focus Mode: This mode is great of lead vocals, voice overs and commentaries which requires some depth in the voice. Blue Spark is a famous microphone used by famous YouTubers like MKBHD, Technologycrazy and many more. Listen to the audio sample here. 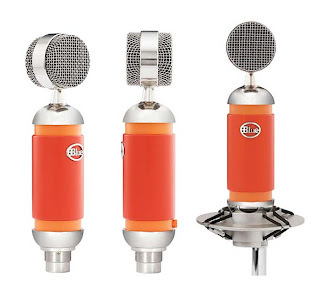 So there you have it, the best of condenser microphones for all the budgets. These are easy to setup with no hassles If you have any questions, queries or want to suggest something, leave a comment in the comment section below. Share this with your friends and family and help them out buy the best microphone for themselves. All the best!